Latest Update:Here's to inform interested and suitably qualified candidates that sale of application form for supplementary entrance examination into School of Foundation Studies has been extended to Friday 5th October, 2018. 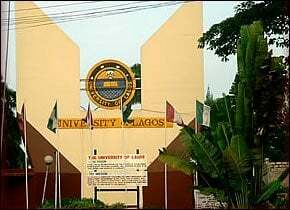 UNILAG Supplementary JUPEB admission form is out – The University of Lagos (UNILAG) is now selling forms for admission into its JUPEB programme (formerly referred to as Foundation Programme) for the 2018/2019 academic session. for the 2018/2019 Academic Session. Highly successful candidates after an approved examination administered by the Joint Universities Preliminary Examination Board (JUPEB), are eligible for consideration for Direct Entry admission into the 200 Level of the Degree Programmes of the University through JAMB (Joint Admissions and Matriculation Board), or admission into the University of Bedfordshire, University of Central Lancashire, University of the West of England, De Montfort University, Leicester, University of Birmingham, (UK) and Soochow University, China. University of Lagos has zero tolerance for drug abuse, sexual harassment, examination malpractice and other anti-social behavior. All admitted students will undergo compulsory medical test. How to Apply for UNILAG JUPEB Admission. read the application guidelines on the application interface and complete the Pre-Application Form to obtain a payment reference number (PRN) using the applicant’s names. Cost of Application Form (including on line practice tests (excluding Bank Charges)): N25, 000.00 (non-refundable). Complete the application form, print two copies and bring along to the entrance examination. The Application opens on Monday, September 17, 2018 and closes on Friday 5th October, 2018. Examination Date: Friday 5th October, 2018. Mode of Examination: Computer-Based Testing (Examination Pass will be generated automatically after successful completion of the application process). Examination subjects are: Mathematics, English Language (20 questions each) and 3 other relevant subjects (according to candidates’ choice of subject combination) of 15 questions each, that is, a total of 85 questions to be answered in 1 hour. Please, what of LASU JUPEB supplementary admission forms 2018/19. When will they be out? Please has the list been released. Please, how much is the school fees for.unilag foundation studies?. Does unilag accept d7 in English in waec? Do unilag accept 2 sittings in their foundation programme? Realize that a successful college career requires hard work, dedication, and sacrifice. I wish you best of luck!